This RED Route Home Study Course has everything you need to know for a successful job search. It includes up-to-date information, templates, questions to explore, tips and suggestions. it accompanies 90 days of unlimited personalised online mentoring and support to keep you productive and motivated. Along with 2 bonus ebooks on how to overcome interview nerves and how to manage your transition into your new job, it is the ultimate guide for professionals in job search. 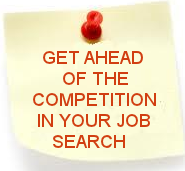 What is a communications strategy in the context of your job search? Plus 90 days of unlimited personalised online mentoring and support to keep you productive and motivated. The CAREER DISCOVERY PROGRAMME is for busy people who rarely have a chance to stop and think about what it is they want out of their working lives. If this is you then this Programme can provide you with the support you want. You will take a journey from uncertainty about your present career and not knowing what your next step might be, through to having a clear vision of a career that is absolutely right for you, and a plan for how to create it. You will have clarity of purpose and be motivated to go forward in the right direction. Explore: Gives you increased self-awareness at a personal level and of your work preferences. Dream: Generates options for new career choices through a creative process. Discover: Turns a vision for your career into a soundly based action plan. It comes with all the supporting materials in the form of ebooks and 90 days of weekly telephone/face-to-face sessions and unlimited online mentoring and support. Contact Michaela or Dave to fix a time to talk and assess your requirements and best fit with the Work's A Dream programmes, without obligation or commitment on either side. We kindly request payment for the whole programme before it commences (but not before the initial no obligation telephone consultation).